Extra strong, showerproof nylon suit carrier. Three internal pockets large enough for shirt and accessories. Side gusset allowing room for 2 suits. Shaped shoulders, top hole for hanger hook plus internal hanging loop. Whole cover folds in half and is secured. by Velcro which folds over the two webbing carry handles. Allows easy transport of garments with minimum creasing. 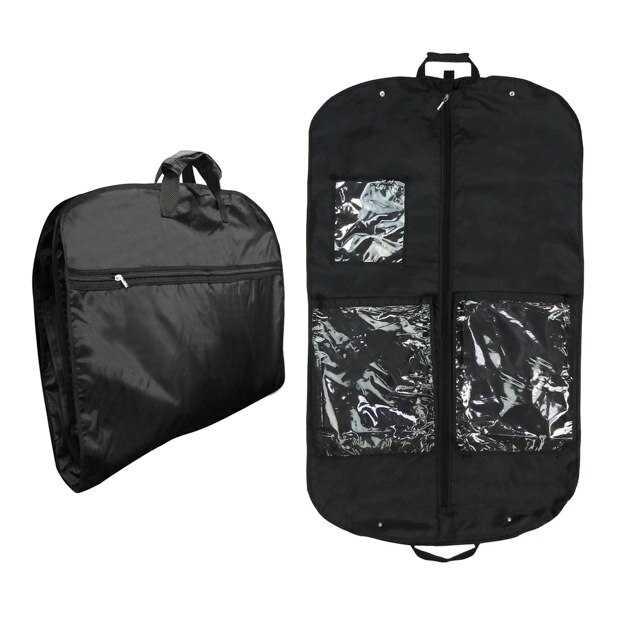 Ideal all purpose clothes cover for use when travelling and storing. Size: Length x Width 44'' x 26.5'' (111cm x 67cm) approx.